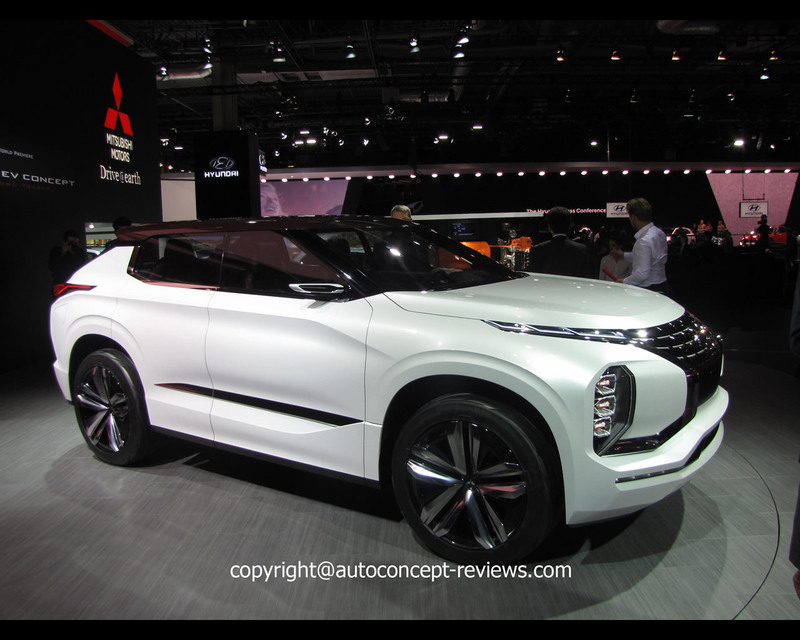 PARIS, September 2016 - After “Concept XR PHEV II” at the 2015 Geneva Motor Show and then, “eX Concept” at the 2015 Tokyo Motor Show, Mitsubishi Motors Corporation (MMC) continues with the patient crafting of its design philosophy whilst confirming its growing stake in the SUV market. 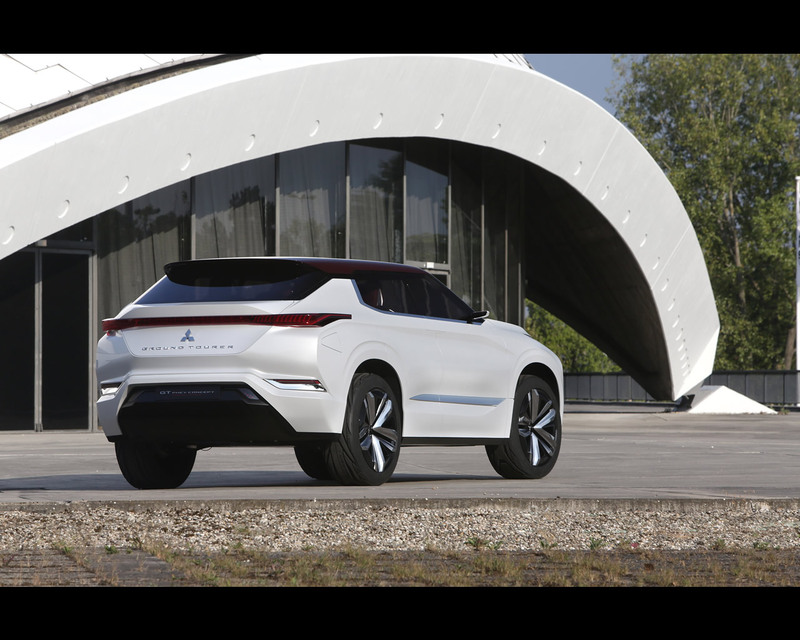 This autumn, MMC extends that conceptual journey at the 2016 Paris Motor Show with the world premiere of the all-new “Ground Tourer-PHEV Concept” (or “GT-PHEV”): a high-end Japanese SUV coupé for a new automotive experience. Befitting its evocative name, GT-PHEV Concept offers effortless cruising on and off the beaten track, while accommodating passengers in the hushed comfort and sleek design of a finely crafted interior defined by a horizontal dashboard - reflecting the spaciousness of the cabin as well as making it easier for the driver to sense changes in vehicle’s attitude, as well as high quality yet functional fittings. 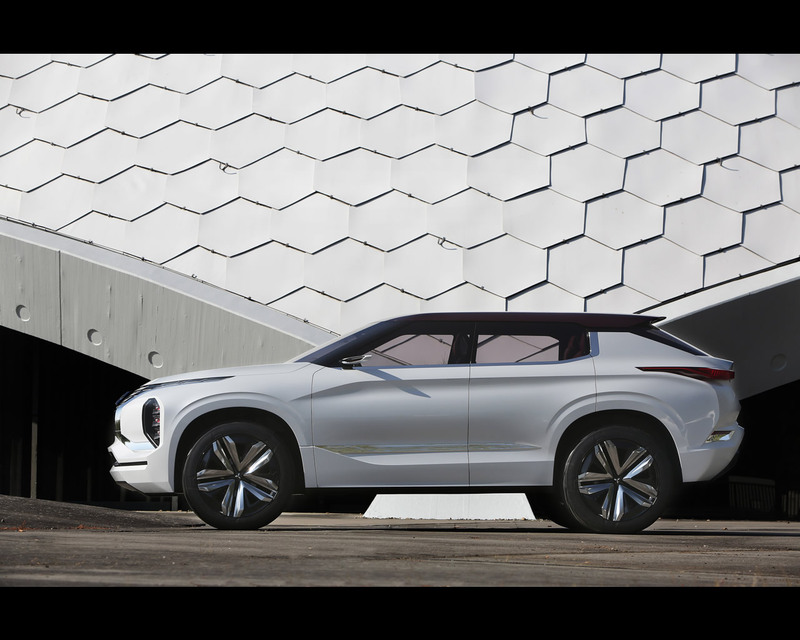 The Mitsubishi GT-PHEV Concept’s intense exterior design is meant to give a sense of reassurance to the driver while also stimulating their quest for adventure expressed through the body’s ingot-like surface composition, the keenly chamfered character lines that run into the rear fenders, complex surface treatment and substantial sills. Tailored to GT-PHEV’s high end mission & ambition, the “Dynamic Shield” front grille strikes presence on the road. The blacked-out grille, highlighted by intricately-worked chrome grille shutters and a piano black upper section, symbolises the advanced PHEV system’s performance. The design also seeks to express functionality through the precise energy management achieved by adaptive grille shutters that operate to reduce drag while optimally managing cooling of the PHEV system. The upper half houses the day time running lamps and turn signals to make them more visible to pedestrians. The lower half houses the headlights proper (high and low beams) to keep them from dazzling oncoming vehicles or pedestrians. Beyond, the graphic styling of the lamp units, also adds to GT-PHEV Concept’s advanced and sophisticated look & feel. High and above, the low floating roof, finished in contrasting burgundy dark red to coordinate with the interior upholstery, adds to the overall dynamism to the silhouette. With a curved cross-section, sharply truncated at its trailing edge, the roof and the distinctive C-pillar, which takes an airplane’s tail fin as its motif, creates a crisp and agile image that contrasts sharply with the body’s intensity to impart a sporty appearance. In the side view, the horizontal hood, flat roofline and sharp character lines - highlighted by the reflections created by the complex “white metallic” finish of the main body - visually convey the idea of a solid and stable vehicle translating into a feeling of security for the driver and passengers. At the rear, GT-PHEV Concept’s main feature is combination lamps that stretch across the width of the tail in a single line proud of the body. Together with the sharp bumper and tailgate surface treatment, this styling effect gives the rear end a broad-beamed and high-stability look contrasting with a sporty rake of the backlight. Within the lamp units, the brake, indicators and reverse lights form a graphic composition of fourteen small inset vertical units and a slim wrap-around element at each corner, complemented by the sophisticated intricate design of the reflectors across the tailgate to create a distinctive contemporary effect. Below, the lower bumper uses a skid plate-like treatment while a rubber coating similar to the one used for the front bumper, adds to the SUV feeling of toughness and stability. 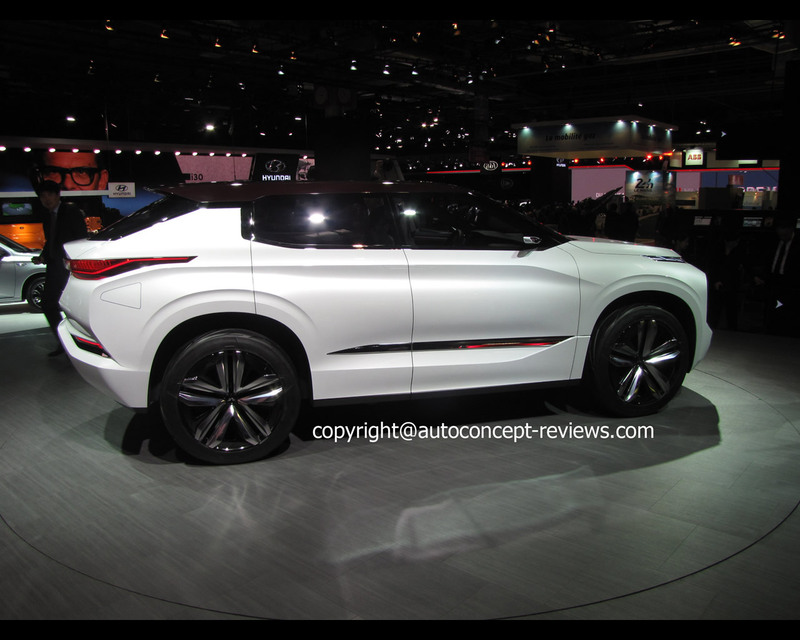 The Mitsubishi GT-PHEV Concept rides on five double-spoke large alloy wheels. Wrapped by the large sculptured double-edged wheel arches, they share the same ingot-carved look of the high sills, adding to the solid stance of the car on the road. 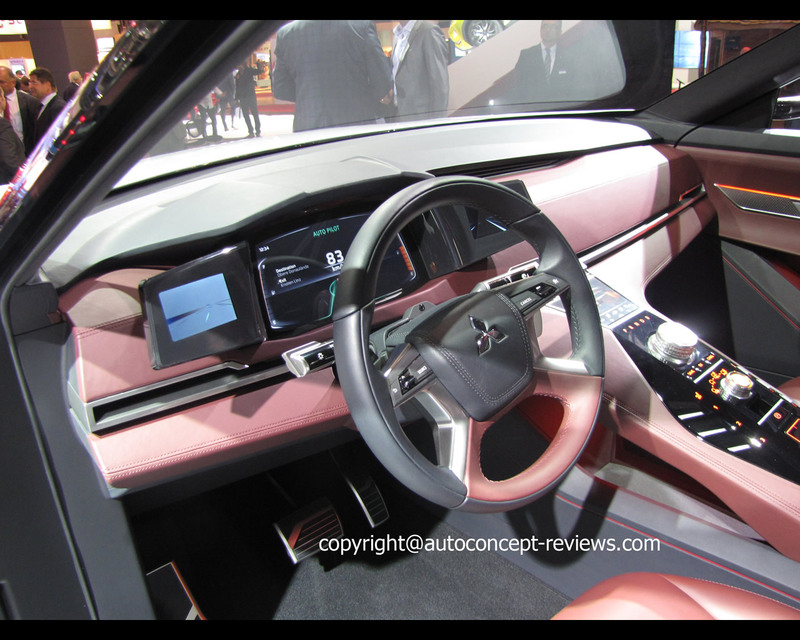 For GT-PHEV Concept, Mitsubishi Motors’ designers have developed an interior theme which combines refined Japanese craftsmanship and intuitive ergonomics. For the latter, they decided to introduce a new theme which is that of a horizontal dashboard. This innovative layout provides a forward panoramic vision, creating an airy and open feel which will visually widen the interior space. The straight-through chrome accent will assist the driver in intuitively sensing changes in body attitude when driving off road. On the ergonomic front, shift and terrain selectors use a rotary design that makes them easier to operate when driving off road and, similar to other controls, they are finished in silver to make them immediately identifiable and easier to locate. The centrally-located instrument cluster uses an intelligent display that provides vehicle and engine speed, energy flow and other basic vehicular information. The display can be switched to a navigation mode that connects to information networks to provide route information and information on entertainment available at the destination. Monitors on either side of the cluster use cameras and serve as side mirrors to show the view behind the vehicle. A heads-up-display at the bottom of the windscreen presents vehicle speed and the minimum navigational data required, improving safety by reducing the need for the driver to look away from their usual viewpoints. Last but not least, to dress up this contemporary high quality interior bathing in the light of the panoramic glass roof, MMC designers selected a two-tone burgundy/black fine leather covering dashboard, centre console, door trim panels and seats, with a silver accent stitching coordinated with the controls and switches. 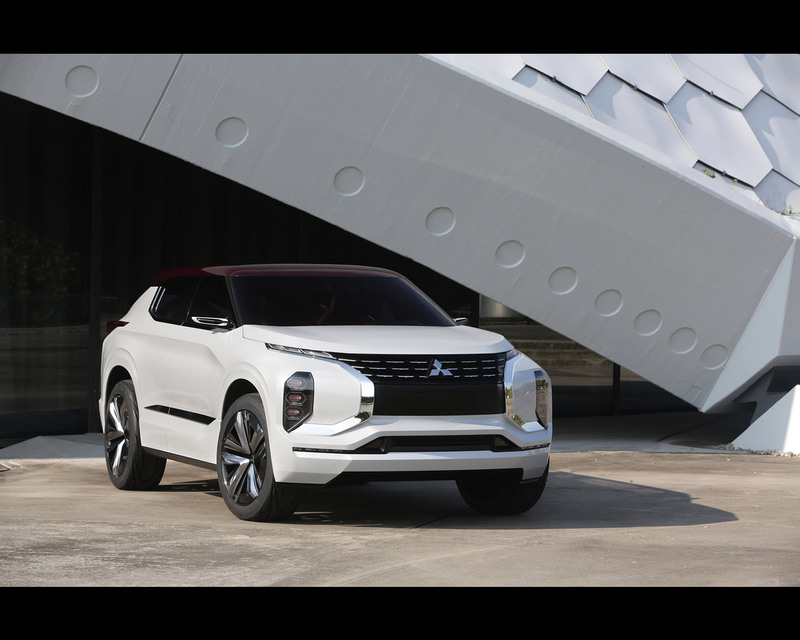 Building upon its industry-leading electric and all-wheel control technologies, Mitsubishi Motors aims to move the SUV genre to new territories. 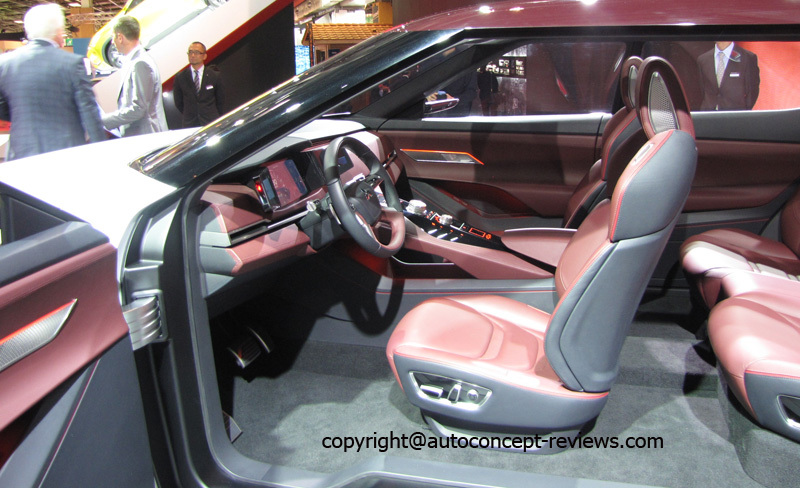 As tangible evidence of this ambition, GT-PHEV Concept utilises MMC’s advanced and proprietary PHEV (plug-in hybrid electric) system, this time using a triple-motor layout (instead of the current twin-motor set-up). 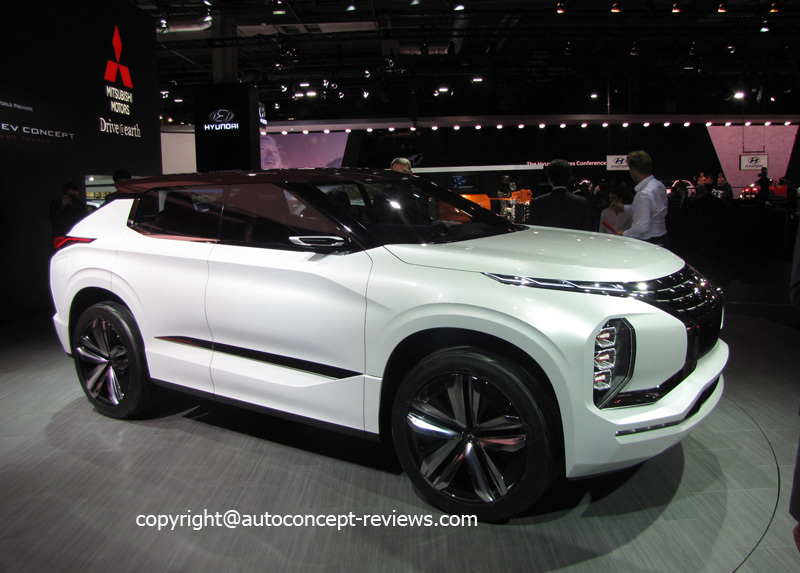 It also boasts a connected car technology which helps extract the performance of these to the maximum, to empower drivers of all abilities to follow their chosen line under different road surface conditions with assurance and thereby experience real driving pleasure. 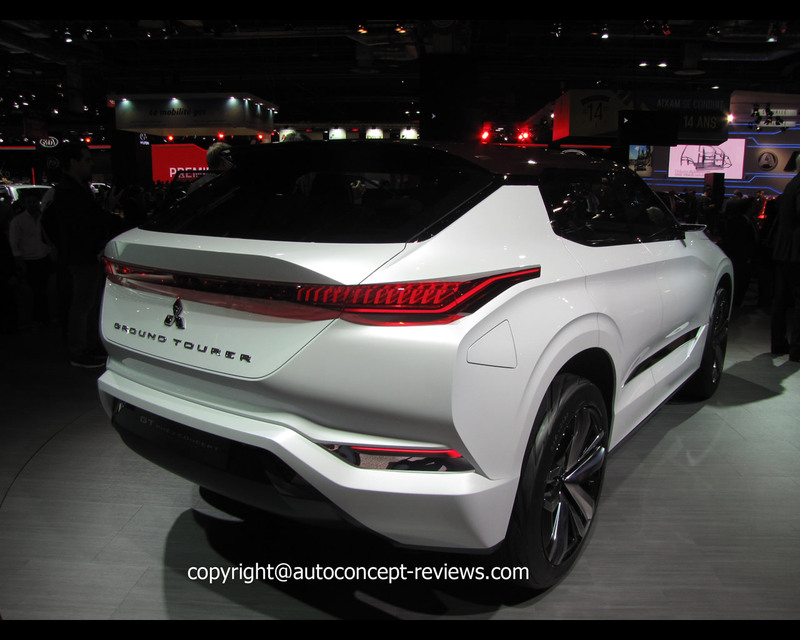 The Mitsubishi GT-PHEV Concept uses a new plug-in hybrid electric system specifically developed for a top-end all-round SUV. A 25 kWh high energy density, next-generation high-capacity battery package is mounted under the floor. A triple-motor system uses three compact, high output and high efficiency motors with integral Silicone Carbide (SiC) frequency inverters, one fitted at the front and two at the rear. This extends the speed range in which the car is driven by the motors alone. The power-train further uses a 2.5L pretol engine designed for PHEV usage. In Series Drive Mode, when it acts as a generator, the engine runs at a high thermal efficiency. The engine size has been optimised for use in Parallel Drive Mode and with a two-speed front transaxle delivers good energy efficiency and acceleration. The system selects the high reduction ratio gear for better fuel economy when driving at higher speeds under normal circumstances, and the low reduction ratio gear for better acceleration when climbing a gradient or overtaking. Structural rationalisation and weight reduction. Drag reduction through the use of automatic grille shutters. Vehicle speed-sensitive adaptive suspension that controls ride height. 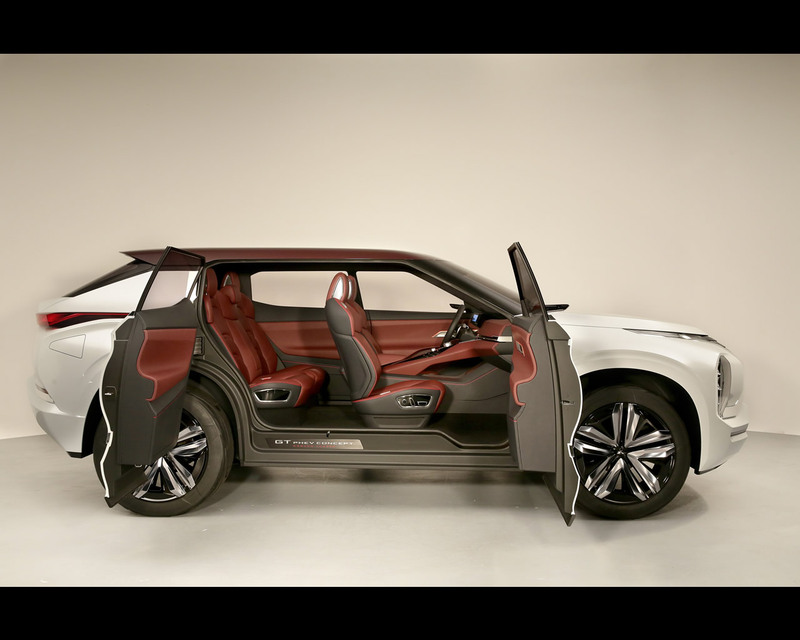 As a result, the concept car achieves an electric-only range of 120km and a total cruising range of over 1,200km with a full fuel tank and fully-charged battery, while tailpipe CO2emissions of under 26 g/km allow GT-PHEV Concept to top the plug-in hybrid segment. 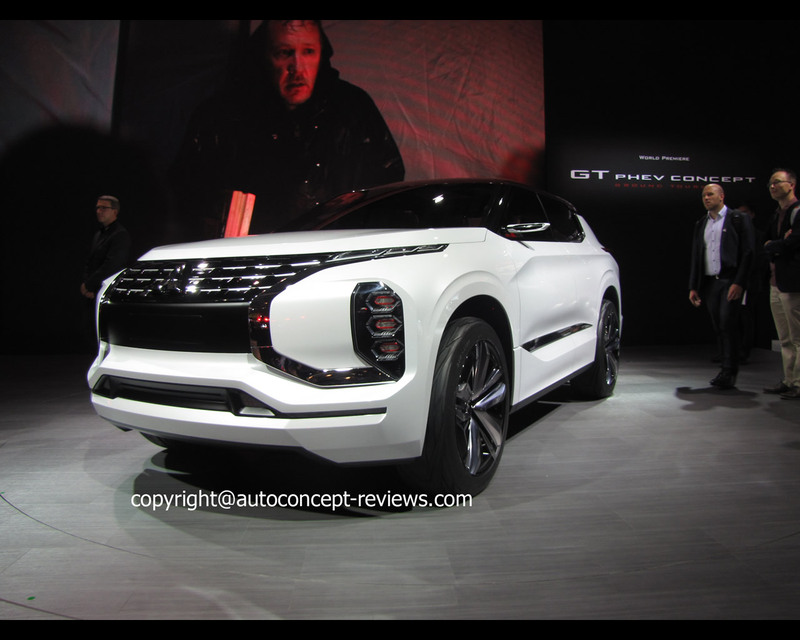 For GT-PHEV Concept’s high-output, high-efficiency triple motor 4WD power-train, electric motive power is supplied to the front wheels by a single 90 kW motor, and to the rear wheels by two 45 kW motors. The triple-motor four-wheel drive powertrain sees a significant improvement in front and rear wheel torque response. And with the electric vehicle’s inherent characteristic of developing maximum torque from standstill, the powertrain delivers exhilarating performance. The AFD regulates front drive torque split to improve cornering performance. It also improves vehicle stability by suppressing wheel spin and transmission of effective traction on dirt roads, snow-covered and other slippery surfaces. The electric AYC regulates the output of the two rear motors and generates a torque differential between the rear wheels as required by surface conditions. This generates a yaw moment that improves cornering capability and also helps to create a level of agile and feel-good handling that would seem improbable for a car of its size. When one wheel starts to lose grip and cannot transmit traction properly to the road surface, the AYC generates an amplitude of torque exceeding that from a single motor at the other wheel to maintain and improve traction performance. ASC operates when the system detects any instability and regulates the braking force at each wheel, and motor and engine output to stabilise the body attitude and ensure tolerant and reassuring handling and driving stability for changes in road surface or inappropriate driver inputs. 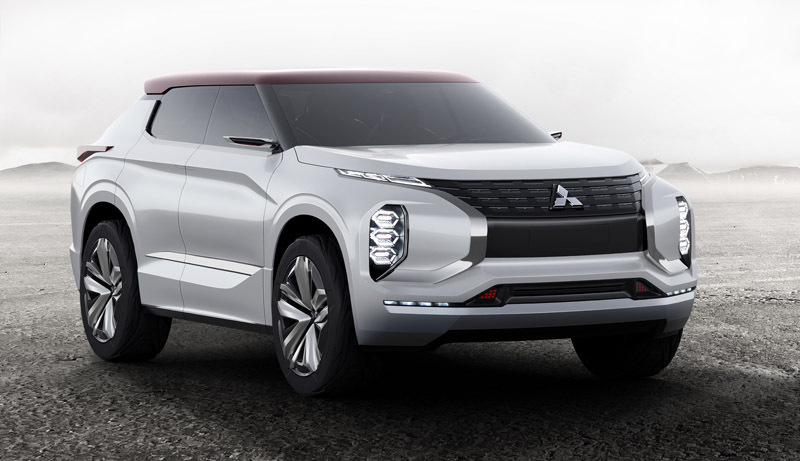 Mitsubishi Motors’ proprietary S-AWC controls the behaviour of all four wheels through integral management of the AFD, electric AYC and ASC systems, allowing the driver to accelerate, corner and brake in a way faithful to their intent and delivering outstanding vehicle stability beyond anything they have experienced before with confidence. 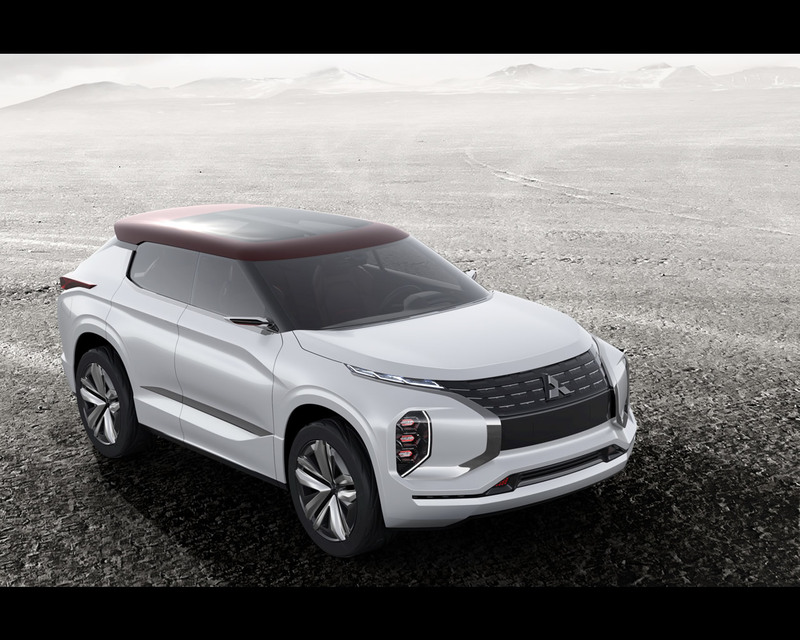 By making good use of information obtained through telecommunication, in-car sensors and cameras, the Mitsubishi GT-PHEV Concept takes the environmental performance of the PHEV system as well as the triple-motor 4WD drive-train’s dynamic performance to new levels. As a result, the driver enjoys enhanced motoring pleasure, reassurance and confidence. As an illustration, when the driver enters the destination into the on-board navigation system, connected car technology searches for information about the weather, temperature, topography, roads and surface conditions expected enroute. On this basis, it provides optimal energy management and thereby contributes to better fuel economy. In addition, optimal and automatic control of the triple-motor four-wheel drive drivetrain’s front/rear, left/right torque split enables safer, more comfortable motoring. And by regulating suspension damping when rough surfaces are encountered, it always provides the optimal ride and achieves the best balance between safety and easy driving.